Mixed Media / Mica Madness! I am Amber and I am SO excited to be sharing a project with you on the Mixed Media Blog! I used some fantastic supplies that I will explain - first.... take a look! 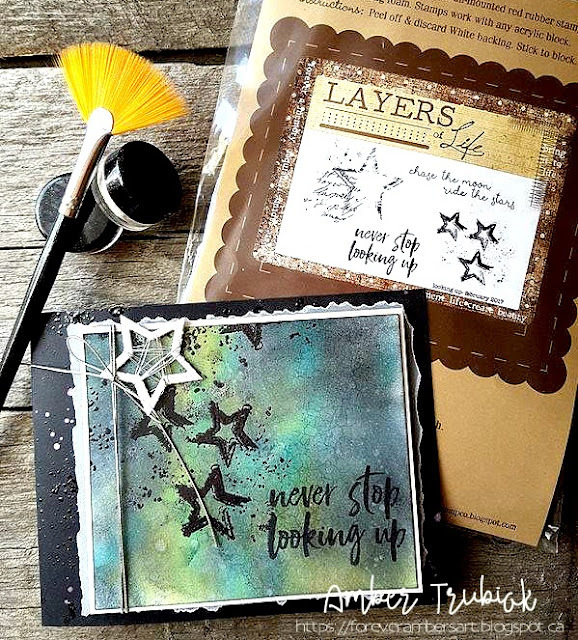 I began by stamping my black base in Versamark with a stamp from Gorgeous Grunge - it is just a random "splatter" stamp. I added black embossing powder and heated it, then set it aside. 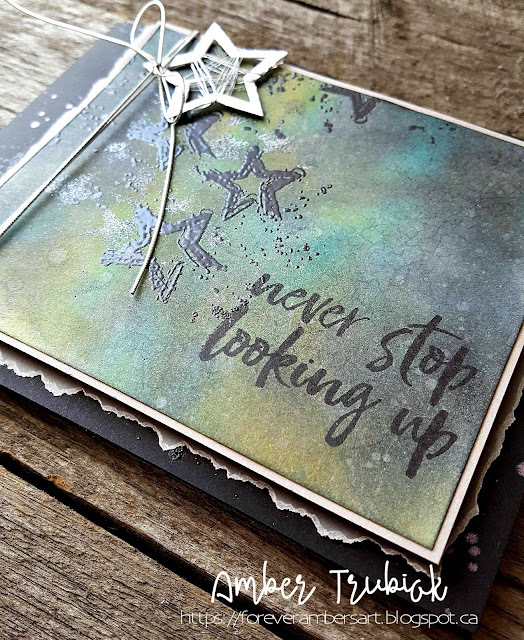 I went to work on my white layer, adding layer upon layer of beautiful distress ink - to give that "night sky look" - I also gave my layer a "shot" of fine water mist in between layers, to add my "star" background. I have to say - I LOVE the Northern Lights - and this card reminds me so much of them! 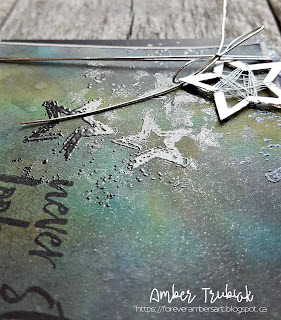 I used my star pattern rubber stamp in Versamark and then lightly dusted it with the Pearl Mica powder - I added ALOT, as I wanted mega shimmer! Next, I used another star rubber stamp - this time heat embossing it with black powder - and adding more mica! The shine is incredible! I finally layered it together and added my star cut from Silver Foil and wrapped in thread. I used my silver elastic cord to bring it all together. There is a TON of shimmer and shine to this design - and the mica powder was the perfect touch! Thanks SO much for stopping by - and be sure to check out what the Mixed Media Design Team has in store for you all this month! Let e know you stopped in by leaving some love in the comments below! Great card!!! Excellent tutorial too!!! !